A report this week from the New York Federal Reserve Bank shows the delinquency rate on new car loans continued to rise in the fourth quarter of last year, approaching levels not seen since the financial crisis. Car loans that were just 30 days late rose to more than $23 billion in the last three months of the year. That's the most since the third quarter of 2008. 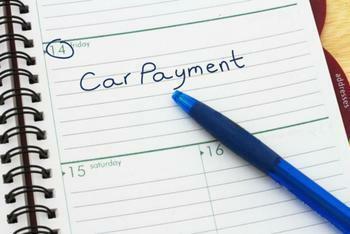 Fewer car loans were seriously delinquent – more than 90 days late. But seriously delinquent loans totaled more than $8 billion, the highest since the previous quarter, which is not an encouraging trend. New car sales have been rising to record levels month after month over the last couple of years, with the aid of low interest rates and attractive deal incentives. But with the average new car transaction price now north of $35,000, personal finance advisers have worried that consumers are buying vehicles they really can't afford by stringing out the payments over six or seven years. Even back in 2014, Melinda Zabritski, senior director of automotive finance for Experian, worried that car buyers were getting overextended. A seven year loan usually means the buyer can barely afford the payment. A financial setback here and there over the next seven years and they could fall behind on their payments. That may be what we are beginning to see now. Leasing isn't getting any easier either. A report from leasing marketplace Swapalease.com shows applicants for an auto lease in January registered only a 50% approval rate, down from over 63% in January 2016. The auto loan data is continued in a New York Fed report on overall consumer debt. The report found total household debt increased substantially by $226 billion, a 1.8% increase, to $12.58 trillion. Officials said it was the largest quarterly increase in total household debt since the fourth quarter of 2013, with the total now less than a percentage point below its peak of $12.68 trillion, reached at the beginning of the financial crisis. How's your savings compare to your credit card debt?